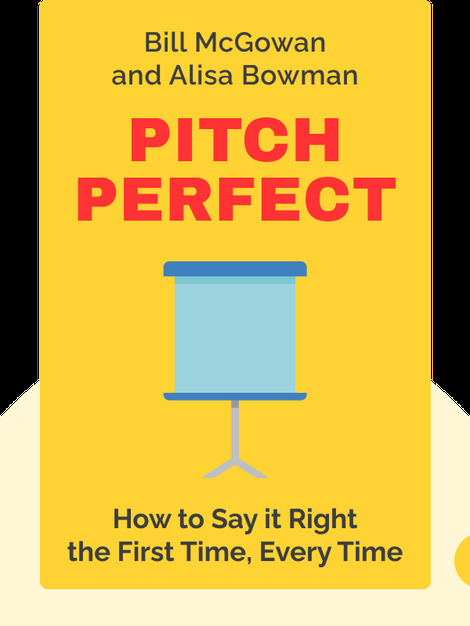 Pitch Perfect presents advice and principles that can help anyone to communicate more effectively. It teaches you how to present an argument or story with confidence, in a memorable way, and how to make your points with more precision. The author introduces seven principles that will help you to use exactly the right tone in both your professional and private life. 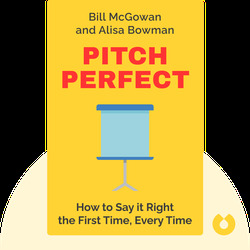 Bill McGowan is CEO of Clarity Media Group and an Emmy Award-winning correspondent. He has conducted hundreds of interviews as a journalist and has coached celebrities – such as New York Giants quarterback Eli Manning and executives like Sheryl Sandberg – on their communication skills. Alisa Bowman is a journalist, blogger, book collaborator, and author and co-author of several books, including Project: Happily Ever After.